The Colonial Tavern at 201-203 Yonge Street opened in 1947, between two historic bank buildings, opposite today’s Eaton Centre, In its heyday during the 1950s and 1960s, the tavern was one of the most popular music venues in Toronto. In the 1940s and 1950s, Yonge Street was not only the “main drag,” but was the centre of the city’s nightlife and entertainment. The section of Yonge between College and Queen was where Hollywood-style bright lights, flashing neon signs, and boisterous crowds created an exuberance that was unequalled in Canada. The names of the popular night spots on Yonge from those decades still reverberate after all these years—Friar’s Tavern, Le Coq D’ Or, Steele’s Tavern, Zanzibar, Edison Hotel, Brown Derby, and the jewel in the crown, the Colonial. The only other popular jazz joints were the Town Tavern (16 Queen Street East), and George’s Spaghetti House at 290 Dundas Street East. In the 1890s, the site where the Colonial opened was the location of the Athlete Hotel, which in 1918 was renamed the Scholes Hotel. It was purchased by Goodwin (Goody) and Harvey Lichenberg in 1947, renovated, and opened as the Colonial Tavern. It was the second establishment, after the Silver Rail, to receive a liquor license from the LLBO, following the relaxing of Ontario’s liquor laws. The Colonial was a jazz and blues venue, which defied the norms of the times when it booked an all-black dance band group—Cy McLean and the Rhythm Rompers. Cy was a pianist by profession, who formed a band in 1937. During the swing era of the 1940s, it was Canada’s only all-black orchestra. When it played at the Colonial, it was its first performance in a mainstream venue. During the 1950s, the Colonial was Toronto’s main music venue. However, on July 24, 1960, a disastrous fire gutted it. Two years were required to rebuild, and when it reopened in 1961, the building that had been Scholes Hotel, was replaced with a structure that was only two storeys in height. It was now more intimate, the tables and chairs grouped closely around the stage. The ceiling was low, but there was sufficient height to accommodate a balcony. The singers that performed at the Colonial were among the greatest names of jazz and the blues—Miles Davis, Carmen McRae, Thelonius Monk, Art Blakey, Dave Brubeck, Duke Ellington, Ella Fitzgerald, Dizzie Gillespie, Benny Goodman, Sarah Vaughan. 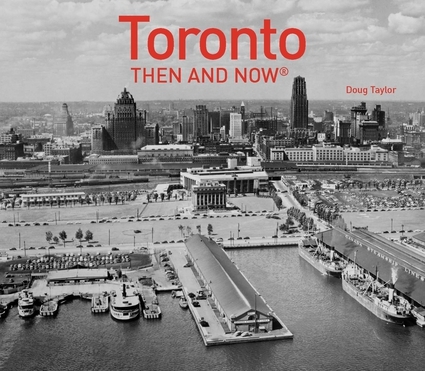 In 1971, the first Yonge Street Mall was created. Because the street was closed to vehicle traffic, sidewalk cafes dotted the strip, the Colonial’s cafe being one of the most popular. The Litchenbergs hired twenty extra employees to handle the crowds. The mall experience was recreated again in 1972, 1973, and for eight weeks in 1974. It was during the 1970s that I visited the Colonial. I was too enthralled with the performance on stage to remember many details about its interior. However, I do recall that it was a cozy venue, where no seat was very far from the performers. By the mid-1970s, jazz was declining and the Colonial became more or less a discotheque. In the late-1970s, the basement of the Colonial was rented to various punk bands such as Teenage Head and Vilestones. The downstairs space was referred to by various names, the most well known being the “Colonial Underground.” During this decade the legal drinking age was 21, and the basement venue was a magnet for underage teenagers who wanted to defy the laws, the most commonly feared words being, “Let me see your ID.” Though the Colonial featured punk bands during these years, it is today remembered as a jazz and blues venue. Also during the 1970s, Wayland Flowers and his puppets—Madame and Crazy Mary—performed at the Colonial. Flowers was later to play at the Royal York’s Imperial Room. The Colonial was sold In the late-1970s and during the years ahead, it slowly deteriorated. It mainly featuring rock bands and exotic waitresses. As well, the famous Yonge Street strip, where the venue was located, also started to become seedy. It was during these years that the clubs, bars, and taverns began to close. The murder of a young shoeshine boy in 1977 finally created the impetus for the City to clean up the street. However, the sanitized version of “the strip” never achieved the buzz and excitement of former decades, as the music clubs had disappeared. The Colonial lingered on, but it had lost its lustre. Robert Fulford wrote in the Toronto Star in 1987 that the famous jazz venue offered bad food, surly waitresses, and patrons that were loud and drunk. He also stated that the low ceiling made the space feel cramped and that it appeared as if the space was a tunnel with a bulge in the middle. The tables close to the stage, he stated, suffered from music that was too loud, and the tables at the back gave a person the sense of over-hearing the music, rather than hearing it. However, Fulford grudgingly admitted that none of negative features mattered, “because of the quality of the music.” The same year that Fulford visited the Colonial, it permanently shuttered its doors. The site was purchased by investors that intended to reopen it as a hotel, but the plans never materialized. In 1982, the City bought the property to build a space that would connect Massey Hall with the Elgin Theatre, forming a theatre complex in the heart of Toronto. However, in 1987, due to a lack of funds, City Council voted to demolish the Colonial and create a parkette. Another great idea never saw the light of day. Edward Keenan wrote an article about the city in the Toronto Star on September 22, 2016: “And the thing about big plans with no money behind them is that they inspire hope and then gather dust on a shelf for decades and then inspire cynicism about the next big plans that come along.” He was referring to the plans to construct a public park over the rail lands, but the same might be said of the idea for a theatre complex in the centre of the city. The charming Scholes Hotel in 1945, where the Colonial opened in 1947, the two historic bank buildings on either side of it. This is the building that was gutted by fire on July 24, 1960. Toronto Archives, Fonds 1257, Series 1057, Item 537. The rebuilt Colonial Tavern that reopened in 1961, as it appeared in the mid-1970s. Toronto Archives, Fonds 124, File 002, id 0066. The Colonial and its patio in the 1970s, when Yonge Street was closed to create a mall. Toronto Archives, Series 377, Item 545. The Colonial in the 1980s, when it possessed a rather dreary facade. Toronto Archives Fonds 0124, File 0003, id 0123. The site in December 1987, after City Council voted to demolish the Colonial. Toronto Archives, Fonds 1024, File 0003, id 0123. The site where the Colonial once stood, between the two historic bank buildings on Yonge Street. The construction of the Massey Tower occupies most of the site. Photo was taken on September 19, 2016. To discover more about Yonge Street when it was the musical heart of Toronto—a link to Edward Keenan’s article in the Toronto Star on September 29, 2016.